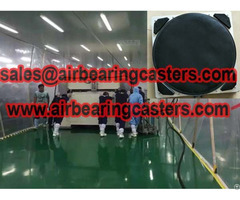 Air bearing casters also named air caster rigging systems, air skates, air movers, air film transporters, air load carrier and so on names. 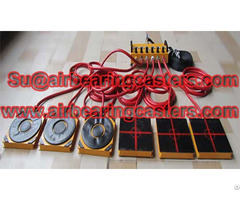 Air bearing casters applied on moving and handling works perfectly, and air bearing casters are a proven method to move oversized, any shape, uneven machines. Air bearing casters have four or six air load modules which just 5 CM height, is easily adapt to any load configuration to effectively distribute heavy loads. Air caster rigging systems capacity from 2 tons to more than 100 tons, if you thought our model can not meet your need, customized air caster rigging systems will workable for us. 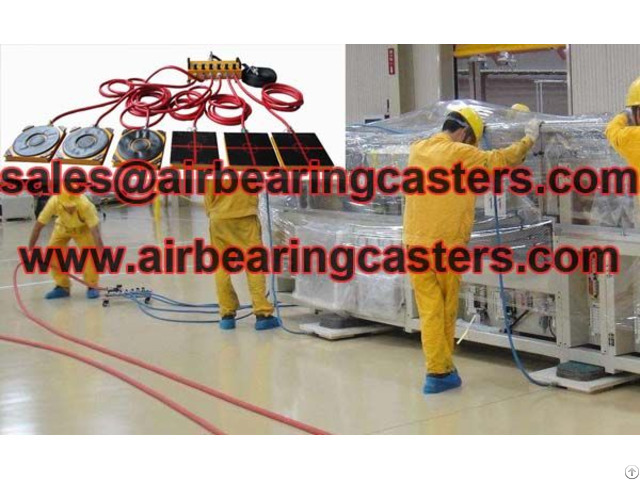 Air caster rigging systems power source is compressed air, via a thin air film between the floor and the heavy duty machinery, is super low friction. Air caster rigging systems provide omnidirectional movement, requiring no additional force to change direction. 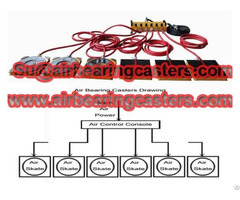 Regarding air caster rigging systems price list, air bearing casters advantages, please feel free contact us. professionally service hope will get your satisfaction.